this product is ggod if you wish to have a laptop with a touch screen and you are too tight with the budget as it has a super touch pad and also a good battery. Battery stands more than 8+ hrs after full charge. touch is slightly buggy due to 2 gb ram. 2GB Ram is less . iBall CompBook Flip-X5 is a complete package of all the features one wishes for in a laptop. Like, the very efficient and long battery life, its 1.37kg light weight body, also it comes with pre-installed Windows 10 and its very own touchscreen feature is the cherry on the cake. 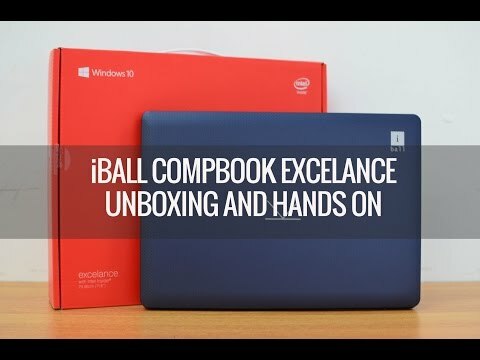 2 Pricebaba users have written their experience with iBall CompBook Flip-X5 (Atom/2GB/32GB/Win 10). If you own iBall CompBook Flip-X5 (Atom/2GB/32GB/Win 10), please do leave your feedback too.